Gautrain you darling! Where have you been all my life? I managed to catch my first Gautrain ride. I had to take it from Centurion to the OR Tambo International Airport and not Hatfield as planned because the train service was suspended from Hatfield due to cable theft. What a smooth and pleasant experience. The Gautrain’s leaving every 20min (off-peak) and fast. Did I say fast ? It took the best of about 25min to reach my destination and effortless. 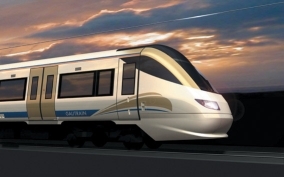 Check out the Gautrain website for a map, schedules and fares.